A canvas for seeking, of memory; piercing through time with new energy, FAMILY PORTRAIT is a personal documentary by Canadian filmmaker Liz Marshall. 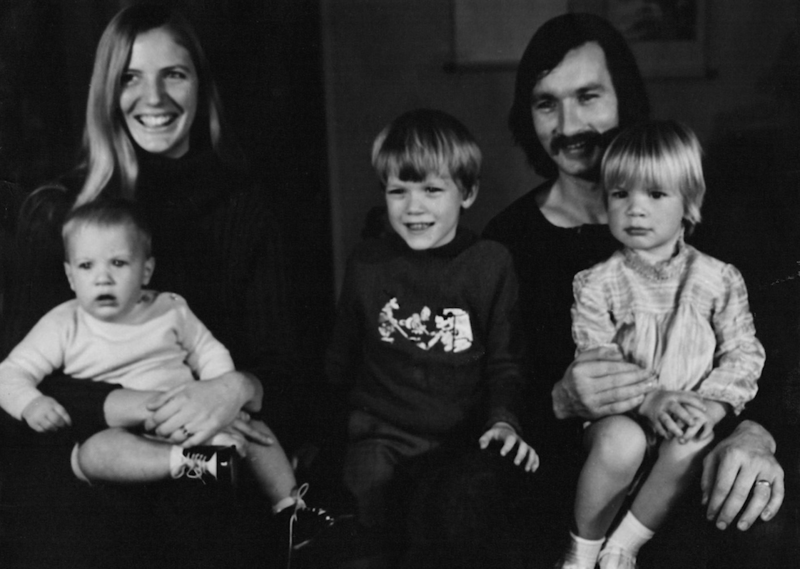 In the late 1960s, during an era of social and political re-imagining, Marshall’s father and mother, Grainger and Diane, were at the centre of a Toronto-based communitarian movement of baby boomers. In 1971 the community co-purchased Midian Farm as a back-to-the-land social experiment, but its utopian vision eventually collapsed. The end of their marriage and the fall of the farm left a resounding residue, a hangover from hope. More than four decades later Liz Marshall stitches together a visually immersive treasure trove of archives and dips between memory and current day reflection to understand and put to rest a transformative piece of family history. Nominated for the 2017 York University Thesis Prize. Made at Cinema & Media Arts MFA,York University 2017. Supported by The Susan Crocker and John Hunkin Award in the Fine Arts, and Ontario Graduate Scholarship. Produced by LizMars Productions.